Xiaomi Mi Mix 2 is an upgrade of the Xiaomi Mi Mix , it is powered by a Snapdragon 835 processor. The smartphone comes with a 6.0 inch show full screen show putting it among the best Bezel-less Smartphones. It utilizes 3400mAh battery to keep it running for a good limit . It also runs on Android 7.1 Nougat out of the box. Check out more features below . 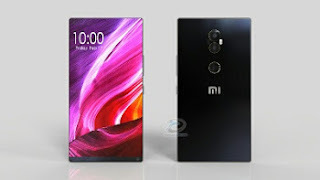 SPECIFICATIONS AND PRICE OF XIAOMI MI MIX 2.